Since their invention almost 60 years ago, lasers have changed the world in a significant way. It has been in use in various industries over the decades and is now all set to conquer the world of dentistry. Here at Dental Studio 101, we are never afraid to try out new and fresh approaches to dental care. If you have the same mindset, then you should consider laser therapy for dental problems you need resolved. 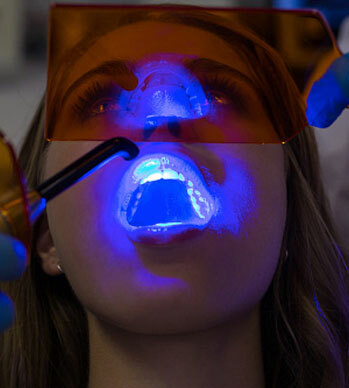 We offer dental laser therapy to patients for a variety of procedures. For periodontal or gum issues, our dental experts use lasers to reshape the gums or if necessary, remove overgrown tissue. Known for their precision, lasers are quite effective at targeting the diseased areas accurately. Aside from treating gum problems, we also use laser technology to treat issues such as root canal infections, cavities, and canker sore and cold sore pain, among others. Some more serious procedures involving the inside of the mouth can also be performed with the use of lasers. Our dental professionals can give you the option to use lasers for biopsies, exposing wisdom teeth, removing benign oral tumors, or even regenerating damaged nerves. One of the biggest benefits of laser therapy is the fact that it’s practically painless, which makes it perfect for children who fear dental visits because of the pain they associate with it. With the best laser therapy Scottsdale has to offer right here at Dental Studio 101, your child will finally be able to conquer dental anxiety and have no more problems dropping by a dentist’s office for oral and dental care. Schedule your appointment now at Dental Studio 101. With our kind, compassionate, and highly-educated staff, you can be sure that you will be provided with all the assistance you need every step of the way.